Syaikhu has been conducting the program of Research on Improving Systems of Education (RISE) in Indonesia from 2017 to 2022. The RISE Programme is funded by the United Kingdom’s Department for International Development (DFID) and the Department of Foreign Affairs and Trade of the Australian Government (DFAT). He finished a doctorate in development sociology in 1991 and a master’s degree in rural sociology in 1988 at Cornell University, USA. He got his undergraduate degree in social science teaching from the Institute of Teacher Training and Education Sciences, Yogyakarta. He is a senior research fellow, specializing in public policy and poverty analysis. His research interests include local governance, citizen participation, and education. As a senior research fellow, Syaikhu takes on the responsibility of a leader, advisor, or reviewer at various stages of research activities. He also assists in completing certain stages of delayed research activities, especially the final report. In addition, he serves as chair of the Board of Trustees of SMERU Foundation, Jakarta. Before joining SMERU, Syaikhu was a lecturer at Sriwijaya University, Palembang. 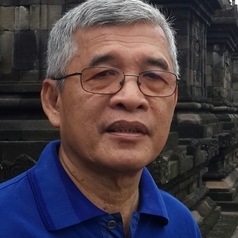 Prior to that he was a researcher at the Center for Policy and Implementation Studies (CPIS) and Social Monitoring and Early Respond Unit, Jakarta.